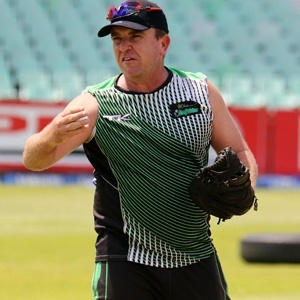 Cape Town - Dolphins coach Grant Morgan believes their unpredictability this season makes them a thorny side for any opposition ahead of their One-Day Cup semi-final against the Warriors in Durban on Thursday. The KwaZulu-Natal side won five matches during the regular season - one each against the other five teams - to finish second on the log standings and earn the right of staging a Kingsmead play-off. The last win over their Eastern Cape opponents was a thumping nine-wicket bonus-point triumph and Morgan feels they can take plenty of heart from that in what is a match-up of the two sides that jointly hold the title. "What we have is unpredictability, which is not necessarily a good thing, but in this instance it may work in our favour," he said. "It makes us a thorny side because we have beaten everyone. "People know that on our day we can beat anyone, hopefully it will be our day on Thursday and we are able to progress." Morgan's charges have reached play-offs in each of his seasons in charge and they are now bidding for yet another one. The Dolphins boss believes that all the signs were there showing his team had the capacity to get to the decider against either the Titans or Cape Cobras on Sunday. "If you look at our previous two campaigns since I've been here, our course was pretty similar," he explained. "And we've addressed those issues where our form had somewhat tapered off following a good start to the competition. "Yet, there's an argument that in both seasons we qualified for the play-offs relatively comfortably where we've made some mistakes and still got there. "We've definitely faced our challenges and we've addressed those, but still struggled to find our B plus game, perhaps we did it once against the Warriors. We've still learnt a lot along the way." Of the Dolphins' five wins this term, only one was at Durban, where they also lost twice. It is a venue that they somehow have not managed to dominate, but Morgan feels this was a chance to alter the script. "We've struggled at home a lot over the years and I think this is kind of a chance to make things right against a side that has been quite a challenge for us. We've now beaten them at their home and it's now time to put the record straight at home," he said. Meanwhile, Warriors coach Rivash Gobind believes his side are ready for the play-offs. The Eastern Cape franchise have punched above their weight for most of the last few seasons, but now appear to be coming of age thanks to the growing maturity of some of their young players. "Our goal has always been to get into the knockout stages and now that we're here, we need to make sure we put in a performance that does justice to how we’ve played throughout the competition," the coach said. "I think over the course of the 10 games, we only really had two bad days. We've been otherwise very competitive right through. "It was great to get some momentum in the last game when we beat the Cobras. I think we're in a pretty good space now." The Dolphins look set to welcome back Andile Phehlukwayo from national duty, while the Warriors' new Proteas in Lutho Sipamla and Sinethemba Qeshile are also available again. "A guy like Andile coming makes make them really strong again," Gobind warned. "He was one of the reasons they were so successful at the start and will be a big plus. "We also have some of our players back in Sipamla and Qeshile, they have been exceptional for us as well, so all in all, I'm expecting a high-quality game."